REDMOND – Microsoft has just released build 10158 on June 29th and has included many goodies and refinements. It includes updated Microsoft Edge browser, some photos apps, updates for Cortana and some refinements to enhance user experience. There is still more to come. Just one day after the release of build 10158, Microsoft introduced build number 10159 which it claims take care of more than 300 bugs. The release of Build number 10159 was specific for the Windows Insider Fast ring. According to Windows blog users who are downloading the 10158 when Build 10159 is also being pushed will receive an error code 0x80246017. Users need not panic and reboot their PC and check the Setting menu. The Setting Menu will show 10159, and that will not be much of an issue since Microsoft has stopped offering Build 10158 to the users. The launch of 10159 by Microsoft surprised testers of Windows 10 because it came just one day after the launch of Build 10158. 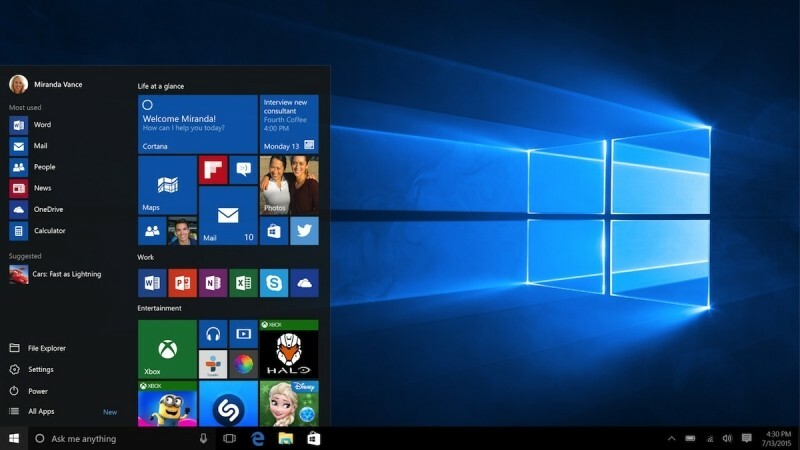 As compared to the Build 10158 released on Monday, the Build 10159 does not bring anything new or unique and released for the testers in the program’s Fast Ring. Instead, it was meant to take care of 300 bugs along with an interesting change. The interesting change is a refurbishment of the login screen, and it places the user’s photo front and center in a translucent pane over their desktop picture. The earlier iterations of the login screen had the user’s picture to one side of their name, Microsoft account email, and password field. Additionally the refurbished log in screen also features a new default wallpaper that Microsoft had just unveiled last week. The new wallpaper looks fabulous with a light through the traditional Windows logo. The design team created the new wallpaper by making use of haze, light, lasers and lens flares along with camera mapping techniques to produce the desired effect.